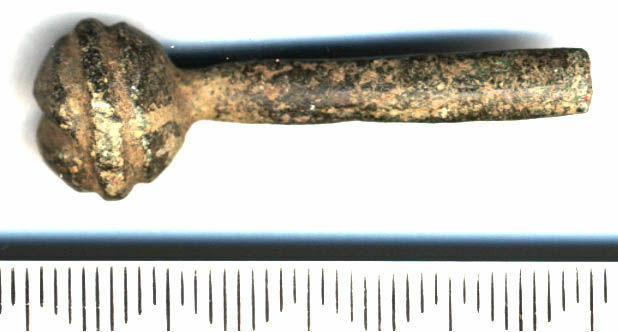 Terminal and part of one arm from a purse bar. The arm is oval in section, 4 x 5 mm, and has a fairly old break. The terminal is roughly spherical, with two broad grooves around the circumference and one broad groove across the end. 16th century; compare SUR-251468.